When the time comes to get caregiving help for your parents you need to be sensitive to the points of resistance that they may have. Denial, fear and the unwillingness to lose their independence rank high in the elderly’s opposition to assisted living. Repeated falls and unexplained bruises. Difficulty with walking, poor balance and struggling to get up from chairs or the bed. A sudden drop in weight due to poor nutrition. Difficulty in preparing meals and keeping track of groceries required. Spoiled food that doesn’t get thrown away. Irregular or noncompliant taking of medication. Mood swings – depression in particular. Poor grooming and personal hygiene. Loss of interest in social activities, hobbies etc. These symptoms may just be linked to general frailty that comes with ageing, or may be as a result of the onset of dementia or Alzheimer’s. They could also arise from post hospitalisation, a sudden diagnosis of cancer or repeated illness, such as pneumonia. Where they of sound mind, do not dictate to them. Do not be patronising. Your parents may be old but they are not necessarily unable to comprehend the situation. Talk openly about the consequences of not being cared for, such as the need to move into frail care. Don’t use this as a threat, though. It might be a good idea to offer to take them to a frail care facility, so they can independently weigh up the benefits and disadvantages. 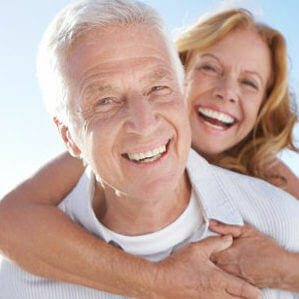 Offer to introduce them to a reputable caregiver agency, so that the can evaluate this option in an objective manner. If they are in the end stage of life, make sure that they understand the benefit of being cared for in their home rather than in an impersonal facility for as long as possible. Assure them, repeatedly if necessary, that you are broaching the idea of caregiving because you have their interests at heart and not because you only want to simplify your life or abdicate responsibility. Whatever approach you take, do not become frustrated and angry if it takes time to get your parents’ buy-in. For the parents and the children, caregiving is a huge step. Hence, it is necessary to do it properly as a united family.